The equipment specialists at Sims Crane & Equipment are always available to assist you when you need to rent a forklift or rent a man lift. As a leader in the construction rental equipment industry, we carry the latest equipment from the most respected brands in the industry, and when you need to rent a forklift for an upcoming project, you can choose daily, weekly or monthly rental periods. You can also reduce equipment rental costs and cover incidental damages to equipment by taking advantage of our Sims Rental Protection Plan basic loss and damage waiver when you rent a forklift or other construction rental equipment. Rated capacities from 5,000 lbs. to 80,000 lbs. 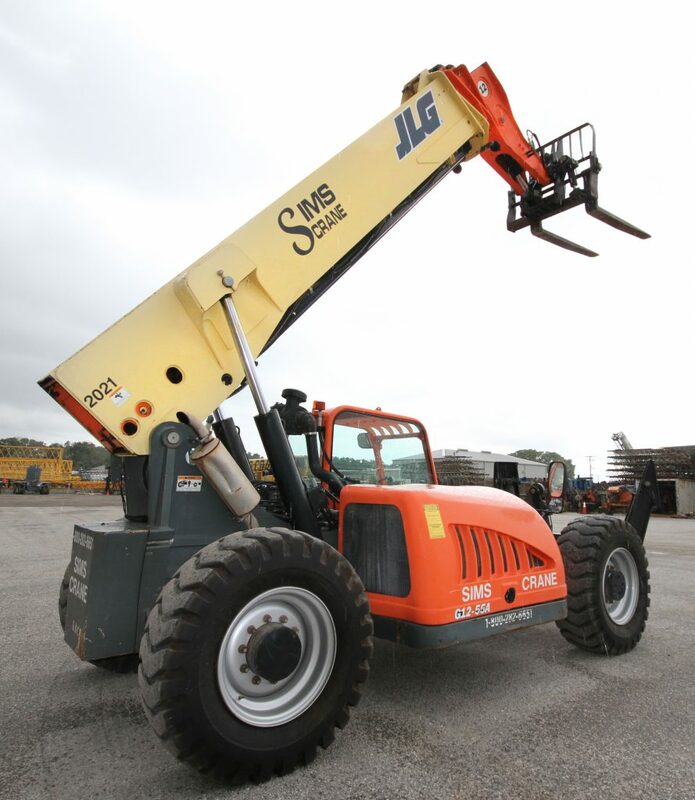 When you come to Sims Crane & Equipment to rent a man lift, you’ll notice that we maintain an impressive selection of top quality boom lifts from JLG. Whether you are looking for equipment to lift personnel and equipment up 45 feet or to heights reaching 150 feet, we have equipment that will safely handle your lifting needs. Our rental boom lifts include articulated and straight boom models with and without jibs. At Sims Crane & Equipment, you can rent a forklift or other equipment with an experienced certified equipment operator. Our large staff of NCCCO-certified expert operators, riggers and flagmen have the skills and experience to keep your projects in Tampa, Miami, Orlando, Naples, Ft. Lauderdale, Tallahassee and the neighboring areas on schedule, while always following procedures designed to ensure the safety of everyone on and around the job site. Contact us today to request an equipment rental quote.